Shaver Post Drivers are top of the line professionally engineered drivers built for the most demanding jobs. Shaver is not only one of the biggest names in the business but they invented and patented the world's first powered post driver! So it's easy to assume they know what they are doing. With the ability to drive a wide variety of post types in the toughest conditions nothing beats the power and high performance of a Shaver post driver. Shaver has spent more than a half a century perfecting their equipment and building it to last. Driving Power, Simplicity, Speed, Reliabilty, and Safety is what makes Shaver post drivers stand out. 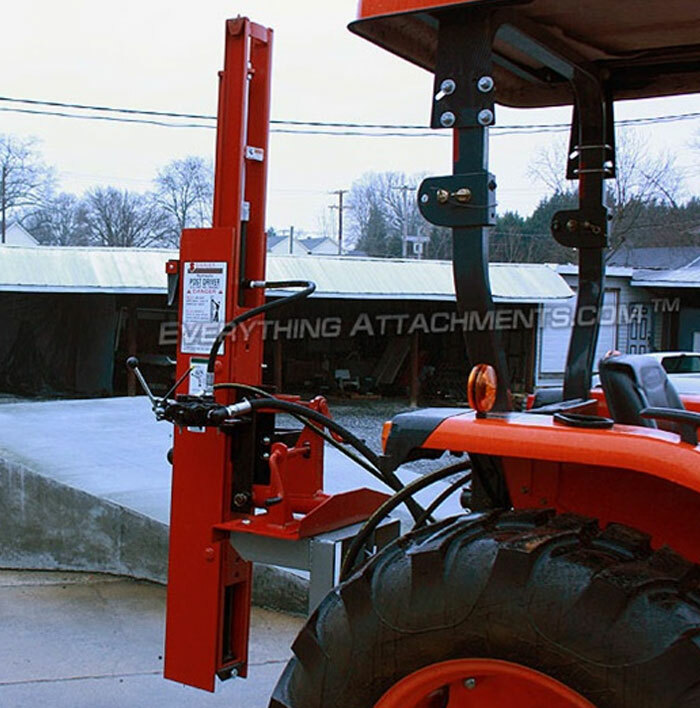 With up to 100,000 pounds of impact, driving wood and steel posts into the gound within seconds is a breeze. Just think of the time and money you can save. Effortlessly and efficient these drivers will pay for them self in no time. 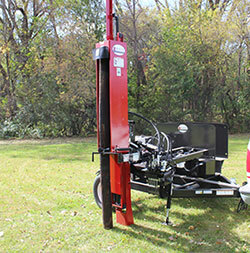 The Shaver Model HD-8 Post Driver is one of the smaller post drivers but don't let size fool you as his drivers can drive a 10 foot post into the ground in less than 30 seconds. The model HD-8 may be the smaller model but still delivers a whopping 30,000 lbs of pressure which drives posts into the ground without the need for any digging. 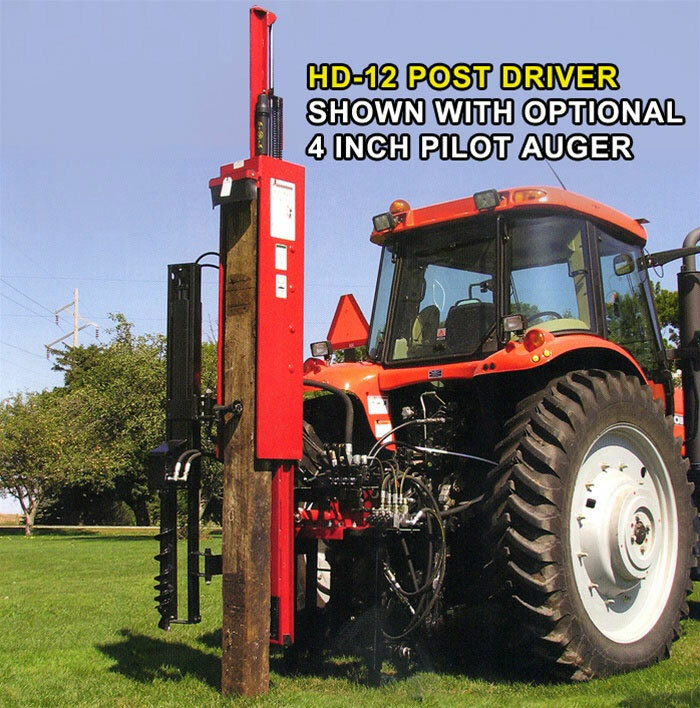 The model HD-8 Shaver Post Driver is professionally built and designed to fit category 1 Tractor 3 point hitch. They are fast, powerful, rugged, reliable and built to last. With only six moving parts these post drivers are commonly known as one of the world's finest post drivers. The Shaver Model HD-10 Post Driver would be considered the mid-size post driver. The model HD-10 driver has more than twice the pressure power than the model HD-8 at 71,500 lbs of pressure on the down stroke. There's not much this driver can't drive into the ground. 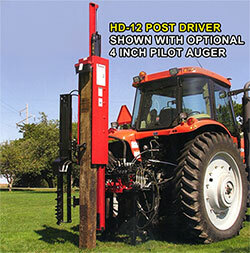 Like the smaller model the HD-10 is professionally built and designed to fit category 1 Tractor 3 point hitch. All post hole drivers come with 1 stand, which is the industry standard, but at Everything Attachments, they include a second stand for even more stability. Hoses are included with all post drivers. Couplers not included. 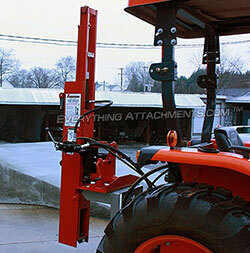 Spring loaded retractable post holder is included with all models. If you need to drive a big post into the ground and drive it fast than The Shaver Model HD-12 Post Driver would the driver of choice. The model HD-12 driver has a massive 100,000 lbs of pressure on impact and can drive a 4-5 inch post into the ground in 15 seconds or less! This drive is made to get the job done and get it done fast.